Pandora, then Spotify. Yet none of those things killed radio. You could make the case that having on-demand music on a CD is dramatically better than radio, since you can listen whenever you want, but it didn’t replace the radio, and neither have Spotify or Pandora or other on-demand services. If it’s no longer a question of whether live or on-demand is “better,” and we just take the evidence that exists, it’s clear that consumers have voted, and they are listening to live. Or a very high percentage of them are. Then the question is why. Then you start capturing what makes live radio incredibly special. Radio is human. There is always someone on the other end of that broadcast. Because of that, it is an inherently social experience. Unlike just about any other medium, you are listening to the same thing at the same time as 10,000 other people, and you feel like you are part of this community event, even though you can’t see them. It’s also transportative. The most popular station on TuneIn during Hurricane Sandy was WCBS. People wanted to hear what was going on in New York City. You feel like you are there, and we say in the office, TuneIn takes you there. It’s the same when you’re listening to play-by-play sports. You feel transported to that event. Coming back to your question, we actually see the on-demand case as the exception. The rule is that people want live. We have 70,000 live stations and 2 million podcasts. So the potential for people to listen to podcasts is quite high. But the answer is that only 2 percent of listening is on-demand. 98 percent of listning occurs on a live stream. So we focus on delivering the best live experience we can. When you really want something on demand, we provide it, but that is a narrow use case. We ask ourselves, “should we invest more time in helping podcasts to be first-class citizens with live?” And we do, but more and more we find examples that suggest that when users are given options, they want live. The listening times are also longer on live. WR: I’m not convinced yet by your idea that live radio is more human. I don’t feel a particular connection to a DJ I don’t know in some booth somewhere. JD: I can give you some other examples. Let’s take the World Series. Would you like to listen to that a few days after the fact? All play-by-play sports, that entire vertical, is an exception to what you’re saying. Would you like to listen to WCBS coverage of the hurricane now, or next Monday night? Everything that’s happening now is dramatically less powerful if it’s provided to you a week later. We find our highest on-demand listening in the case where it’s a [daily news] program like Marketplace. But even in the case of something like music—and there are some interesting studies around this—if you hear a song on the radio and you love that a DJ chose it for you, the serendipity of someone else choosing that song provides a more delightful experience than if you picked out the CD. WR: But it seems like the Clear Channel business model in commercial radio, where music is programmed centrally, is doing away even with that concept, of a local DJ you might know something about. JD: We agree, many of those big broadcasters have optimized for the terrestrial business, which means there is some central person syndicating a playlist across the whole country. But there are also some unbelievably good independent radio stations that now, instead of being constrained to an audience within 40 miles of their terrestrial tower, can broadcast to the entire world. I’m talking about stations like KEXP in Seattle, KCRW in L.A., Hot 97 in New York. At those places, people are not just providing broadcast radio, they are creating compelling content. I agree, if you just listen to a Top-40 station from a big broadcaster, it is going to feel like a generic experience, but that is not really what TuneIn is about. TuneIn has 70,000 stations and over 50,000 of them get at least one listen every day. The reason Amazon beat the Borders down the street [the Palo Alto Borders closed in September 2011] is that Borders could only have 30,000 books at a time, whereas Amazon can have every book. The long tail in books is dramatically larger than the head. The same is true in radio. We find the top station on TuneIn gets substantially less than 1 percent of the audience. WR: Because radio has been so local in the past, confined to that 40-mile radius around the transmitter, it’s had very local audiences supporting it. Local advertisers could know they were reaching local consumers, and local public radio stations could ask for donations from their local listeners. Doesn’t it break that model if you’re streaming the audio to someone who lives 400 or 4,000 miles away and has no local allegiance? JD: If you find the content compelling, your distance from the tower should have nothing to do with how willing you are to support it. 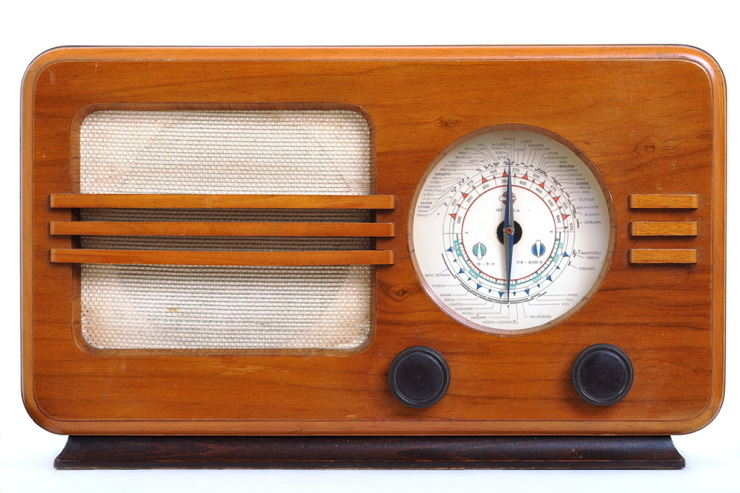 A great use case for us would be people who got introduced to radio in college, listening to sports or whatever on their college radio station. A very high percentage of them move away, yet they are still passionate alumni. Are we doing a disservice to the college radio station by allowing their alumni to reach them even if they are far away? If anything, we are bringing that user closer.